Monkeys and kids and repetition. This is a favorite for me, my kids and grandkids. It's fun to read too. It's silly and quite a page turner. 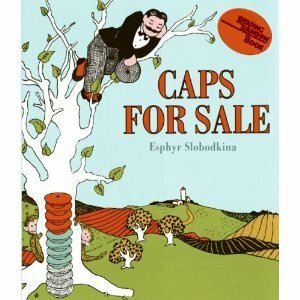 I remember this book fondly. It was written in 1940 by Esphyr Slobodkina. She was born in Russia, raised in Siberia and Manchuria and migrated to the United States in 1928. She wrote the story--an old folktale--and did the artwork. It's won awards and critical acclaim.